This powerful sculpture is one of my favorite African art objects, I can look at it for hours. It can be attributed to a Bamum workshop in the Makutam region, which produced large scale headcrests, so-called tungunga. It’s talented sculptor found a striking balance between the circular volumes of the eyes, cheeks, and chin; placed below protruding arched brows and surmounted by a dramatically backswept bi-lobed headdress. To its benefit, the blown cheeks of this headcrest are smaller and more schematized than in other examples. The subtle curve of the neck lends the sculpture an additional striking dynamic. This head crest was sold by Sotheby’s in 2007 for 1,608,000 USD (info). The owner, Saul Stanoff, had bought it at auction in Paris twenty years earlier for 65,000 USD (Loudmer, 2 July 1987, lot 176). Quite a markup ! The fact that the piece was once owned by Maurice de Vlaminck did of course play a role in this story. Tungunga headcrests were danced in pairs of two and evoked the images of a deceased king and his wife. They were held on top of the head and affixed by a fiber construction hidden underneath a raffia frill. 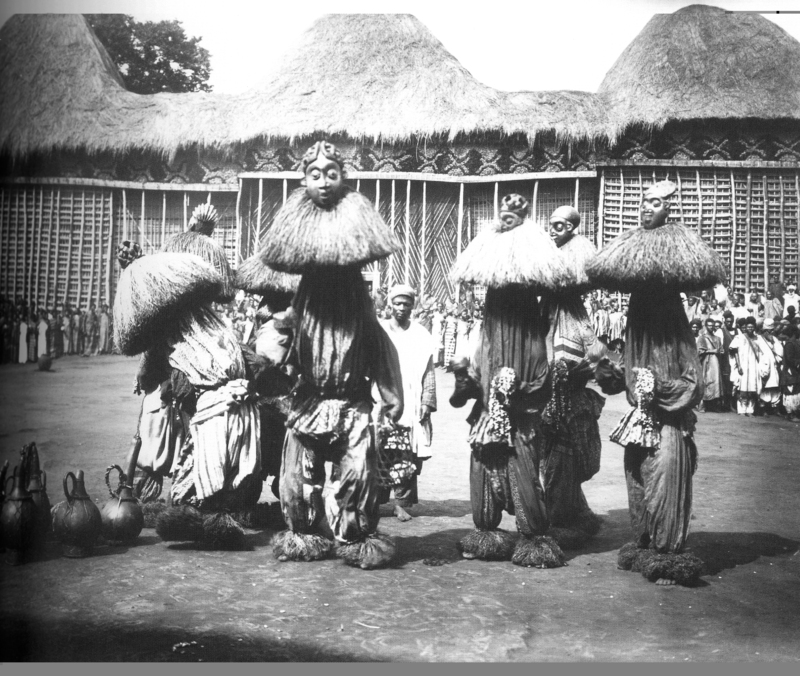 Tungungas were danced by the members of the nsoro, a secret society for warriors. Only those men who had killed an enemy in the field of battle could become members of this society. 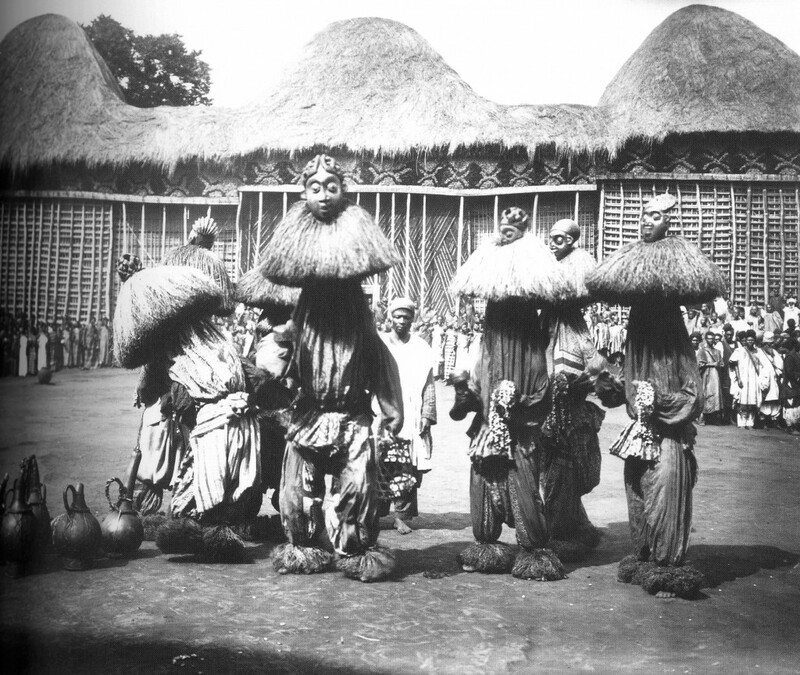 Tungunga dancers appeared only at funerals of important persons, namely of chiefs, members of the royal family, state ministers, and initiates of the nsoro. The bilobed bonnet of the Stanoff tungunga indicates the representation of a king. 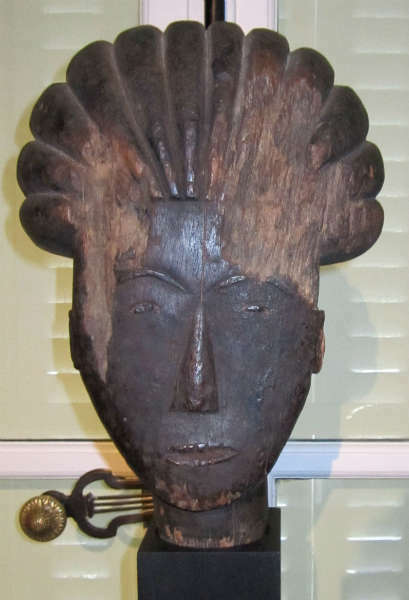 Only a few other examples of this rare type of Cameroon art are known; the one below was collected by Henri Labouret and donated before 1934 to the Musée de l’Homme in Paris (now part of the Musée du quai Branly). 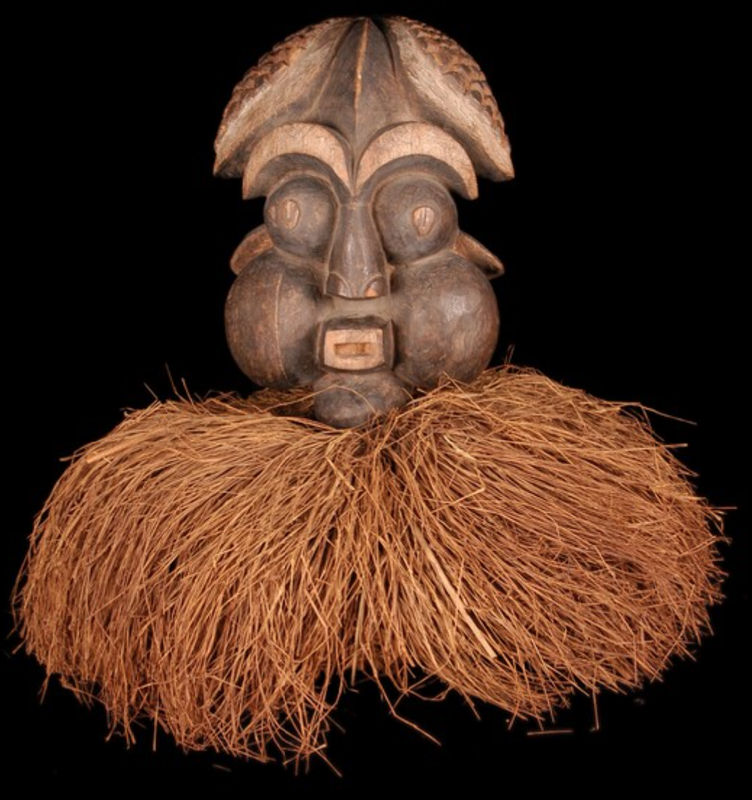 Image courtesy of the Musée du quai Branly (71.1934.171.29). 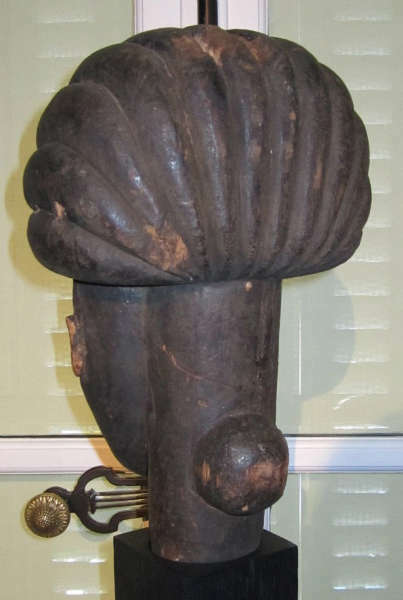 UPDATE: Sotheby’s Heinrich Schweizer informed me that in his view this head crest in fact wasn’t made by Ndam nji Mare (as I had said earlier, quoting the Rietberg Museum’s Cameroon – Art and Kings). What is a work by Ndam nji Mare is the tungunga in the Malcolm collection (see below) which he discusses in his forthcoming book Visions of Grace: 100 African Masterpieces from the Collection of Daniel and Marian Malcolm (coming out in September). Schweizer believes there are at least three different carvers who made this type of head crest. 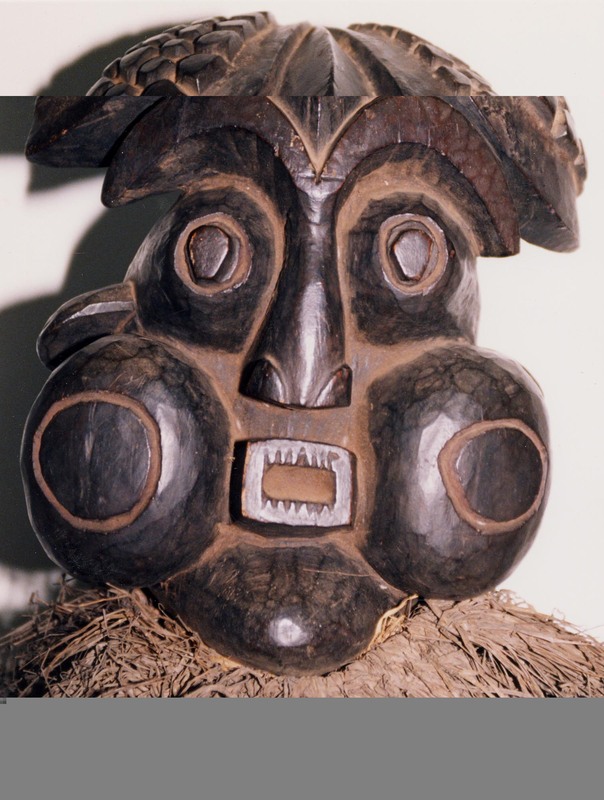 They do look similar, but when handling them one can note many differences in the carving style (eyes, ears), technique (faceted carving vs. smooth surface), patina, wood, etc. Ndam nji Mare was carving a generation later and presumably a follower working in an earlier tradition. He is known by name as he was still active in the 1940s. This entry was posted in Objects and tagged Bamun on July 31, 2014 by admin. 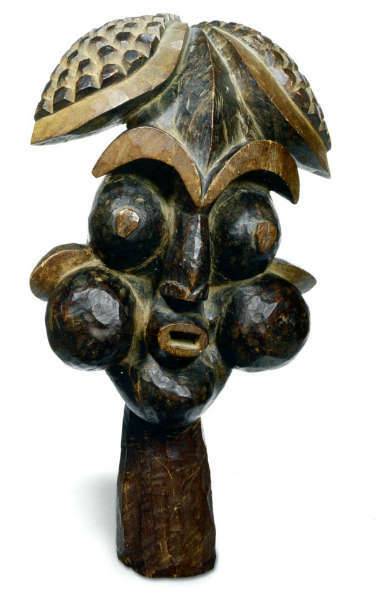 The last Christie’s sale featured an interesting Bamun head. Since I had overlooked this headdress in the catalogue, it again teached me how important it is to visit the viewing days of the bigger auction houses. The picture in the catalogue didn’t do the piece any justice. While the front of this head was very flat, damaged and not really attractive, the back and side of the head revealed a magnificent modernistic sculpture. I have no idea what the spherical protuberance on the back of the neck represents but sculpturally it fitted perfectly, counterbalancing the other volumes. If the face hadn’t been that damaged and with more 3-dimensional facial features, this would have been a masterpiece. But for € 10.625,- it was still a very good deal. Below the field-photo by Oldenburg from 1912 that Christie’s mentions in the object description. See the second headdress from the left, for an example with a similar hairstyle. 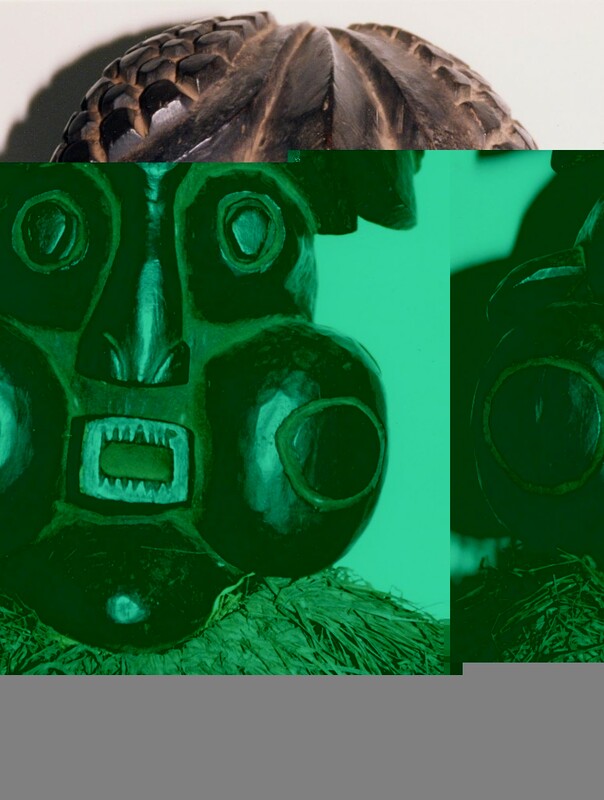 This wonderful image shows how these heads were originally danced; attached to a raffia collar and concealing costume. For an excellent article on these headdresses, see: Joseph (Marietta B. ), Dance Masks of the Tikar, African Arts, Vol. 7, No. 3 (Spring, 1974): pp. 46-52+91. Christie’s does acknowledge they are not sure this head is in fact Bamun. This entry was posted in Auctions, Objects and tagged Bamun on July 4, 2013 by admin.